InMediaRes Productions, LLC (IMR) is best known for the BattleCorps website and as the parent company of their imprint Catalyst Game Labs (CGL), the current producers of BattleTech and Shadowrun (among others) through IMR's license. 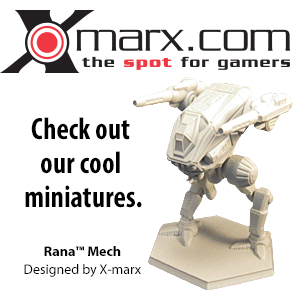 IMR was founded in 2003 by Loren and Heather Coleman following the conclusion of the original BattleTech novel line to license the ability to publish new, canon fiction to the Internet from WizKids for what was now "Classic BattleTech" to distinguish it from the new MechWarrior: Dark Age setting. WizKids, the new BattleTech IP holder, granted this license to IMR in the fall of 2003, initially limited to short fiction of up to 40,000 words. This led to the creation of BattleCorps in August 2004. A similar project for Shadowrun called "Holostreets" was planned, but as of yet was not implemented. On April 20, 2007, IMR announced that it was in negotiations with WizKids and FanPro to acquire the full licenses for what was now "Classic" BattleTech and Shadowrun, as licensee FanPro's licenses were set to expire. IMR created their Catalyst Game Labs imprint in May 2007 for the purpose of publishing print Classic BattleTech and Shadowrun sourcebooks. In June 2007, Wizkids transferred the licenses for both (Classic) BattleTech and Shadowrun to CGL. Most of the FanPro staff working on the BattleTech and Shadowrun lines moved to CGL when it acquired the licenses, creating a seamless transition from FanPro to CGL. 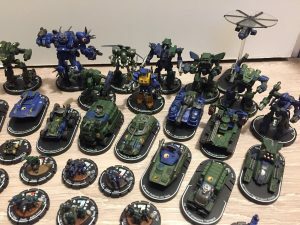 In an interview Loren Coleman said he was approached about stewardship for the BattleTech and Shadowrun IPs because FanPro's licenses were running out and because he already was a minor licensee through IMR, well-connected with other writers and very knowledgeable about these gaming universes. In June 2008, CGL announced new novels for Shadowrun and Classic BattleTech, as well as the MechWarrior series; however, the print novels project ran into unspecified problems which were only resolved in 2015, delaying the publication of new novels until then. In mid-March, 2010, a former freelancer, Frank Trollman, publicly accused Loren Coleman of being behind the disappearance a significant amount of money (allegedly around $850,000) from CGL, implying criminal conduct. The accusation caused a shakeup among fans as well as staff, with several valued employees or freelancers quitting CGL. The ultimate outcome was not announced, but Coleman remained at the head of the firm, did not lose the licenses and was apparently not tried or convicted for any criminal actions. CGL released a public statement providing a summary of the results of a financial review of the company, in which it was disclosed strong sales and an increased demand growth of their products. Included in the review was the discovery of some accounting procedures that mixed private funds of the owner with the company's operating capital, due to "accounting procedures [that] had not been updated as the company continued to grow". The realization of this issue resulted in a reported restructuring of the accounting procedures, the start of an administrational organization review and discussions with partners and freelancers regarding indemnification. ↑ http://www.battlecorps.com/BC2/static.php?page=6 BattleCorps subpage on "InMediaRes"
↑ 3.0 3.1 BattleCorps: "InMediaRes Productions, LLC forms imprint Catalyst Game Labs"
↑ CGL: "Catalyst Game Labs bring Classic BattleTech, Shadowrun, and MechWarrior novels back to bookstores"
↑ CGL: "For Immediate Release"
This page was last edited on 14 May 2018, at 10:08.